The last landmarks project for 2017-2018 is taking place in the Fermanagh Sports and Cultural Association, which is based in Ballinamallard, Fermanagh. 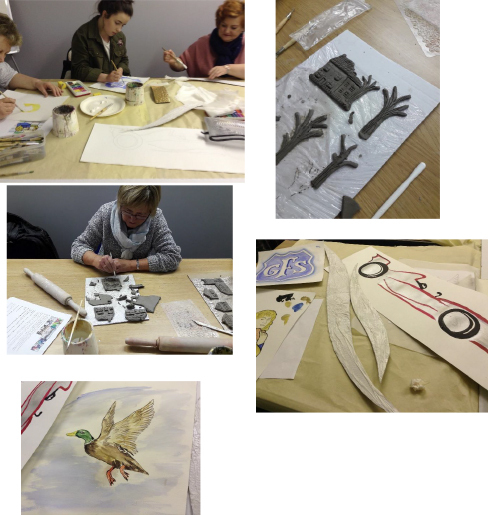 The Artist Facilitator for this project is Genevieve Murphy and she is working with the group on a mixed media and clay piece based on features which distinguish their local surroundings. This group is developing existing skills and learning some new ones as they work together on their artwork. They are looking forward to seeing what the end piece is going to take shape. All the best with the completion of the work.